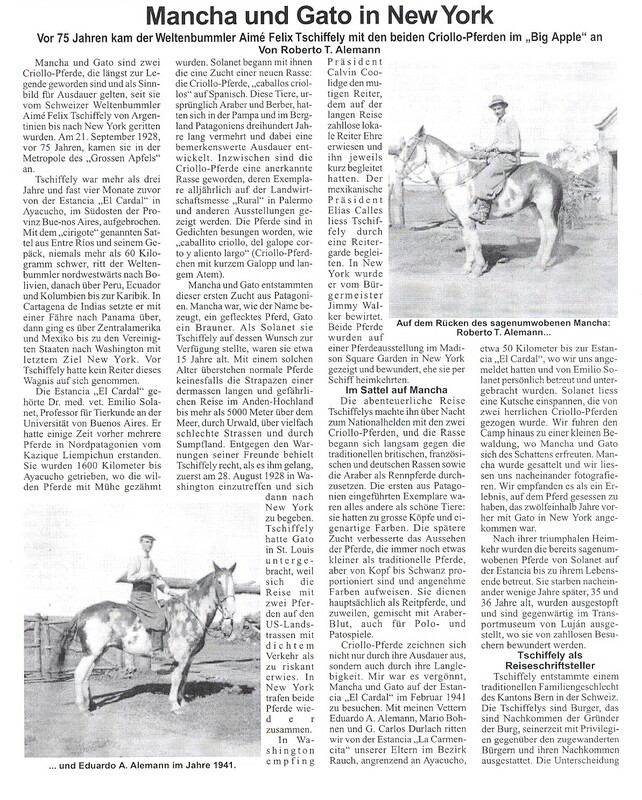 New Books for Boys and Girls. 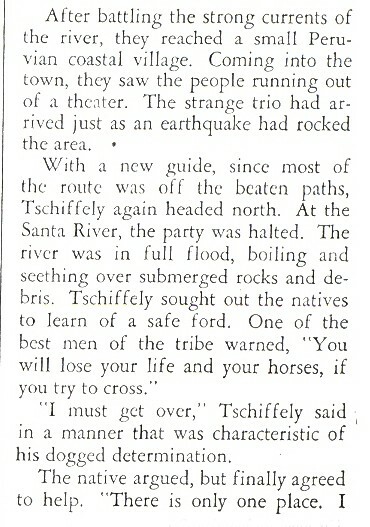 "W. Norton has returned from England bringing with him the manuscript of a new book by the author of Tschiffely's Ride. 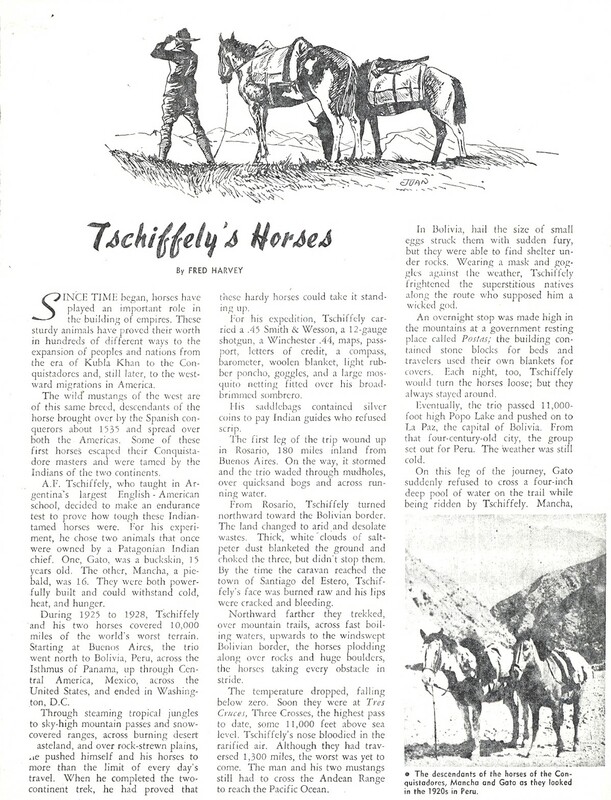 'In this book Tschiffely rides again - but this time in an eighty-five-horsepower Ford....'"
Tschiffely's Obituary in Britain's Daily Telegraph. 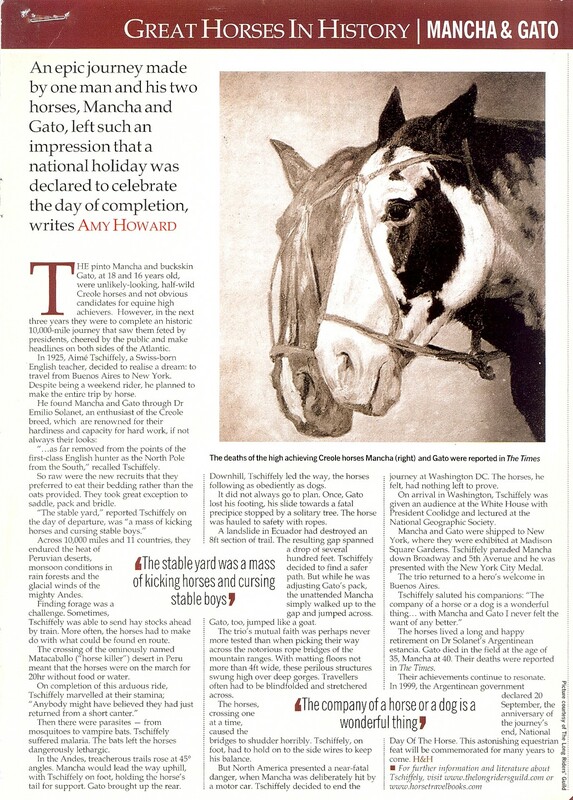 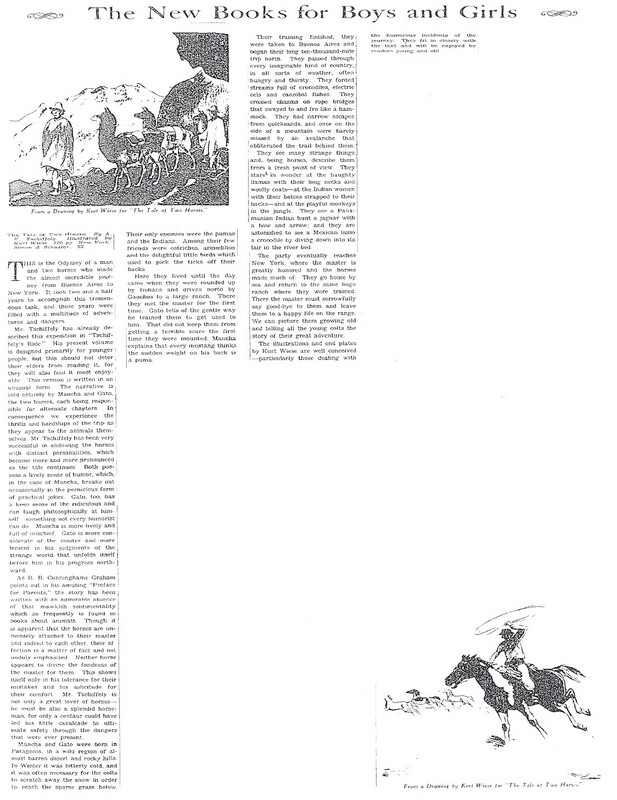 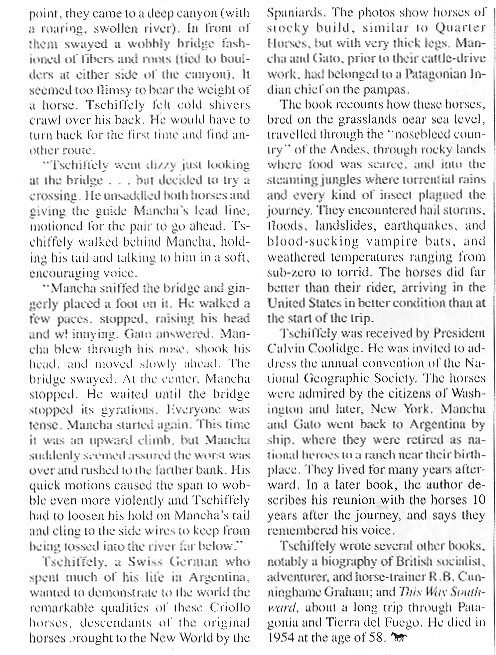 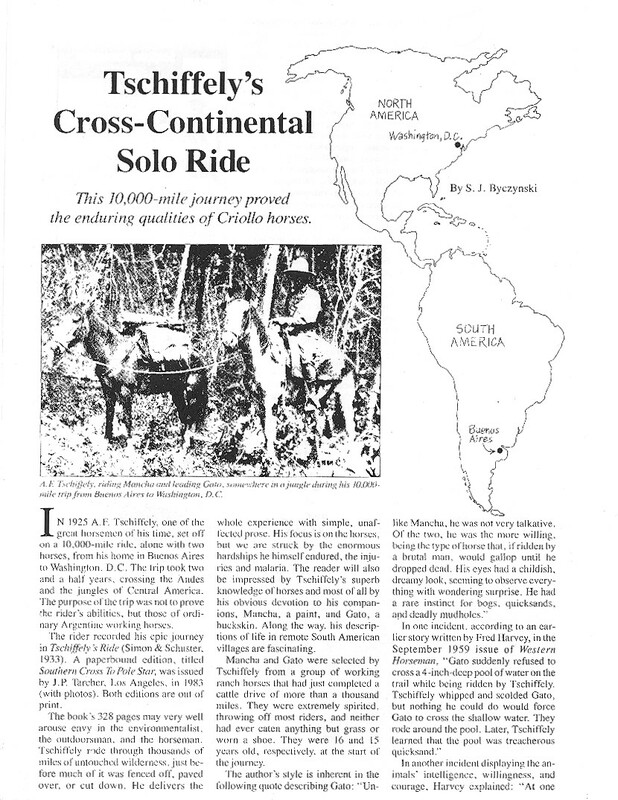 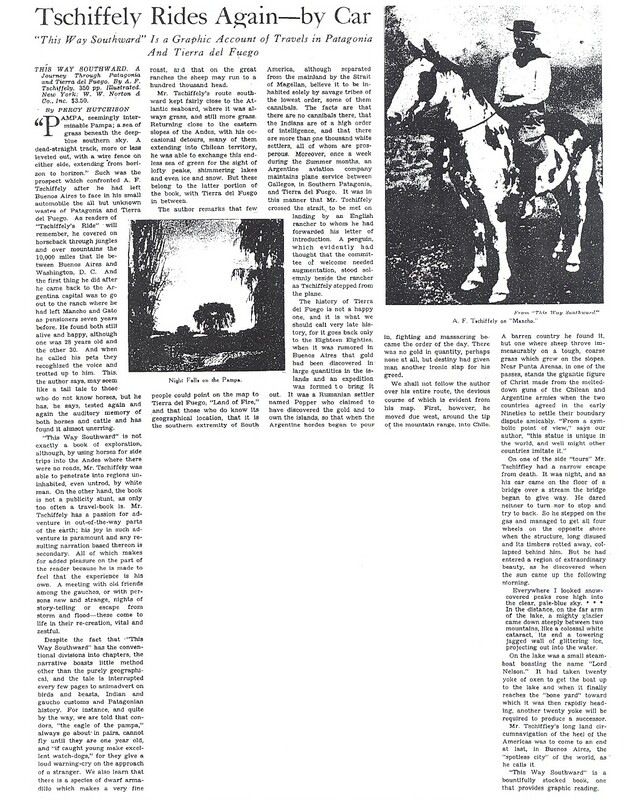 A letter to an editor pointing out that the world record for distance on horseback was not 6,700 kilometers, as had apparently been claimed, but more than twice that amount in the journey made by Aimé, Mancha and Gato. 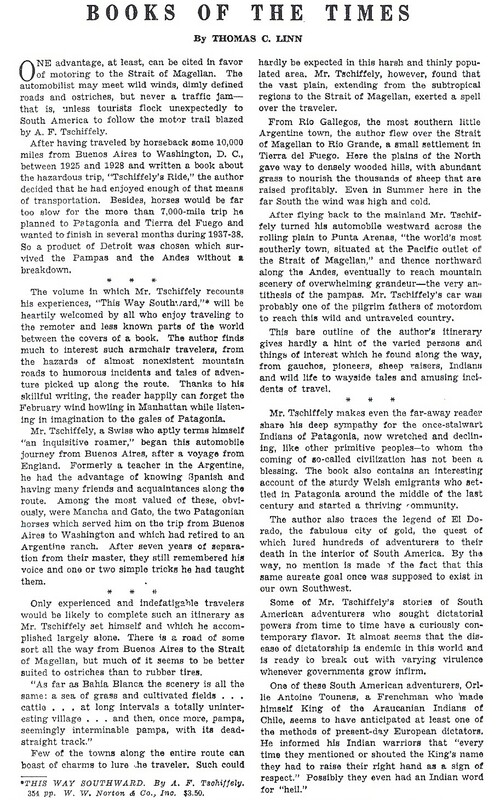 Click on picture to read an on-line article by CuChullaine O'Reilly. 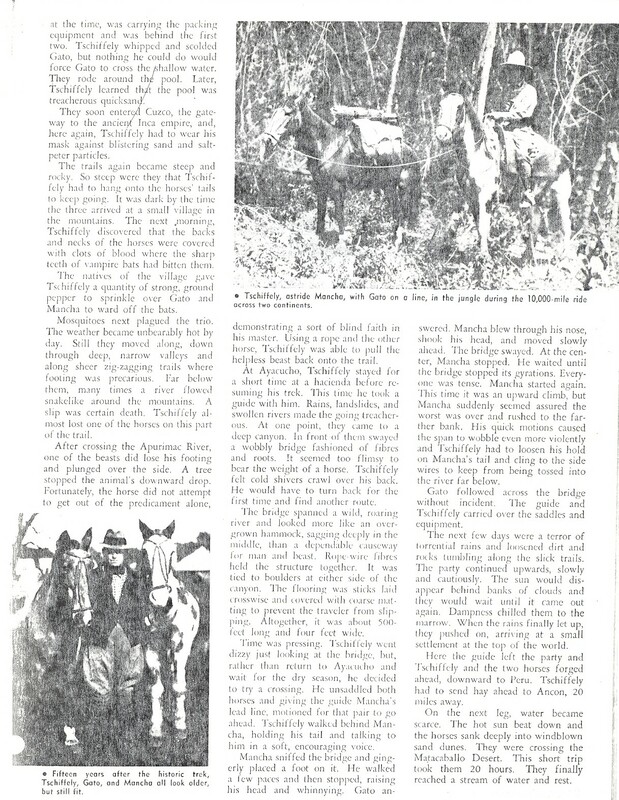 An excellent article about Aimé, and one about the two horses, written by Lynda Osborne and published on Suite 101 in August 2009. 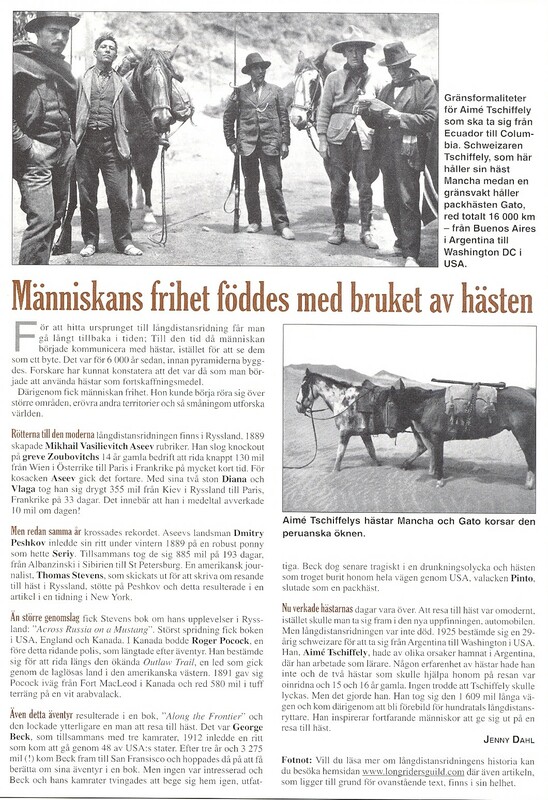 Click on links below.